You can pretty much guarantee that whenever you switch on your TV in the UK today, you’ll see an advert for one of the many online bingo sites! In fact, some TV shows even have sponsorship from bingo sites! Adverts may not be everyone’s favourite form of entertainment, and some fail to hit the mark or are just plain irritating. However, there have been some brilliant bingo adverts that have had everyone laughing, singing along or even quoting the tagline to their friends. So, which bingo ads have really stood out from the crowd over recent years? Here are just a few of the very best which you’re sure to recognise. One of the most iconic bingo commercials has to be for Foxy Bingo. There’ve been numerous adverts over the years for this operator, however, one of the most memorable has to be the “You’re The One That I Want” commercial which appeared way back in 2010. Making use of the famous final number from Grease, this advert saw Foxy himself taking over John Travolta’s role as Danny singing about balls multiplying rather than chills! Some of the most engaging bingo adverts of all time have to be the Sun Bingo “Are You Gonna Bingo” series. Featuring a larger than life bingo player in a highly recognisable leopard-print coat, the catchy theme tune has found itself being repeated by viewers up and down the country. One of the most memorable characters to be associated with online bingo had to be Verne Troyer, best known as Mini Me in the Austin Powers movies, who represented “the boss” for BGO bingo for several years before his untimely death in 2018 at just 49 years old. For anyone who lived through the 1990s, the Macarena was a club classic which everyone was singing and dancing. Years later, it saw a revival in the form of the latest Mecca Bingo advert, although this time it was called the “Meccarena! Parodying the lyrics of the original, it had every one of a certain age singing along. If we go back a few years to 2014, Wink Bingo ran an ad campaign that had everyone singing along. Replacing the classic words of the Ottawan song DISCO with BINGO, this advert may have bordered on the irritating, but it certainly got everyone talking about the brand. Paddy McGuinness is the most recent face of Jackpotjoy Bingo, and one of their most recognisable adverts has to be their “Ask Maxine” commercial. This advert sees Paddy talking to an Alexa-style home assistant who seems to struggle to understand what he wants to achieve. It’s funnier than it sounds! 7. Gala Bingo Brought the Beach Home. Literally. Another bingo advert which is sure to catch your eye has to be Gala Bingo’s “Fly Away For 50K” commercial which shows a shocked man being surprised in his canary yellow budgie smugglers by a Mariachi band in his own home, all because his wife is playing bingo on the tablet. If dancing astronauts are your thing, you’re sure to remember the Moon Bingo advert which sees a couple of spacemen dancing along to the advert’s theme tune on, yes you guessed it, the surface of the moon! And yes, in case you were wondering, they do the Moon Walk! For fans of comedian Vic Reeves, his 2008 advert for 888 Ladies bingo has to be an absolute classic. 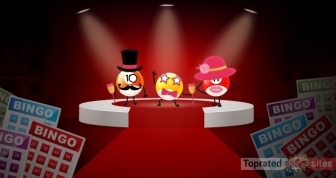 We see the eponymous funny man dressing up in drag, complete with stilettos and wig to join the other ladies in playing online bingo. Bet365 Bingo has run a series of adverts over the last few years featuring various people walking around with their heads replaced by bingo balls. It’s bizarre, but it’s certainly eye-catching. There have been several versions of this advert, including the Lycra-clad dancers and the glamorous ladies, all with huge ball-shaped heads on display! What Are The Rules For Bingo Advertising? Avoiding appealing to children – no gambling advert should show any content which could be considered attractive to under 18, like cartoon characters, cute mascots, or fairytale-like imagery. Displaying socially responsible gambling messages – gambling adverts must promote the idea of taking responsibility for one’s own gambling activities and warning about the possibility of losing money. Part of this is the “when the fun stops, stop” message. Nobody who is, or who appears to be, under 25 years old can appear in an advert for any kind of gambling product or service. This also applies to celebrities and sports personalities who may appear in online or television commercials. 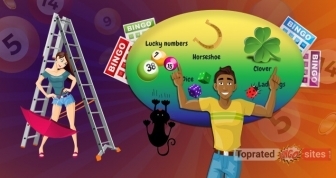 Marketing campaigners are always looking for ways to make their products and services more appealing to their target audience, but online bingo operators are always working especially hard to make their site stand out from the crowd. 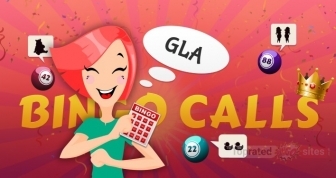 There are so many different providers of online bingo services out there these days that each brand is striving to stay ahead of its competition with the most creative, exciting and engaging TV commercials that viewers are going to be talking about. From catchy theme tunes to using mainstream celebrities to endorse their brand, and from crazy characters to funny moments, bingo operators are excelling at making memorable ads that stay in the public conscious for weeks, months and even years. Even people who never play bingo can sing the “Are you gonna bingo” song! For those of us who love bingo, however, it just makes it harder to decide which operator to try for our next game!